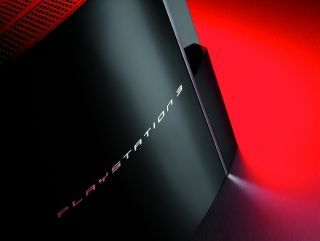 Sony Computer Entertainment of America (SCEA) CEO Jack Tretton boldly claimed that "this is the year of the PS3" a console with "the biggest exclusives in the industry" at Sony's E3 2008 press conference in Los Angeles today. "The PlayStation brand is really hitting its stride," said Tretton, warming to his theme at an E3 conference in which Sony announced, among other things, God of War III, a DC Universe MMO and a new 256-player Massive Action Game (yes, that's the title!) for PS3, as well as new handheld titles Resistance Retribution and Super Stardust Portable for PSP. Other big news from Sony's E3 showing included a new downloadable Ratchet and Clank title, release dates for the much-anticipated LittleBigPlanet from Media Molecule (October 1st this year), Infamous from Sucker Punch (spring 2009) and the immediate launch of the PlayStation Network's new PS3/PSP movie download service, along with plenty of impressive demos of other PlayStation games in development. Interestingly, no release date was given for the launch of the PS3's much-anticipated Home online virtual community, although Tretton did assure the assembled journos and industry execs that their patience would be rewarded, mentioning that Ubisoft, EA, Activision, LucasArts and (strangely) Nike have all been very active in the Home beta to date. That's the potted version. Read on for the full-run down in detail of all the key news announcements from Sony's E3 2008 press conference. "2008 is the year of PS3, but we're just getting started," said Tretton. "We've just begun to scratch the service of what we plan to deliver ahead. The seeds were sewn 15 years ago this week, on July 20th – when we faced the red light or green light about whether the company should make its own console. "What really made Sony different is we took a longer look ahead," he adds. "Two years ago, we had another ten-year vision with PS3… If we'd have asked [our customers] if they needed all this power, they may have said no. But as Henry Ford once said, if I'd have asked my customers what they wanted, they'd have said: 'A faster horse.'" "PS3 offers an experience for both gamers and developers no other console can match. Metal Gear Solid is not only exclusive on PS3 – it's only possible on PS3, thanks in part to Blu-Ray." Insomniac's Resistance 2 is the first major PS3 title to be demoed at the event, with Ted Price on stage giving the background story to the game: "In 1951 we lost Chicago, millions never made it out. ... now Chicago is enemy territory… Resistance 2 is a story of a country under siege, broken by a superior foe." Impressively, Resistance 2 is set to feature 8-player online co-op and 60 player online multiplayer. "While many games talk about scale, Resistance 2 truly delivers," claims Price. Next up, Alex Evans from Media Molecule hits the stage for an intriguing demo of LittleBigPlanet. Tretton describes the game as "the first time User Generated Content and social networking and gaming have come together, it's uniquely PlayStation." Tretton and Evans run through the requisite hardware sales presentation, but presented as a fun LittleBigPlanet level, as opposed to the usual snore-inducing PowerPoint slide. Back to LittleBigPlanet, Tretton considers the title to have "Absolutely unlimited potential" and be a "great way to expand our PS3 user base beyond males and core gamers."